Award-winning author S. D. Moore returns to the publishing world with the release of “Wicked Prayers” (published by AuthorHouse). Suffused with supernatural menace and mystery, this new novel tells a tale of a small city in Washington thrust at the center of an epic battle between the forces of good and evil. 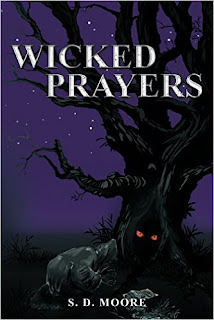 With its fast-paced, action-packed narrative and unforgettable characters, “Wicked Prayers” will keep readers engaged from beginning until the stunning conclusion.